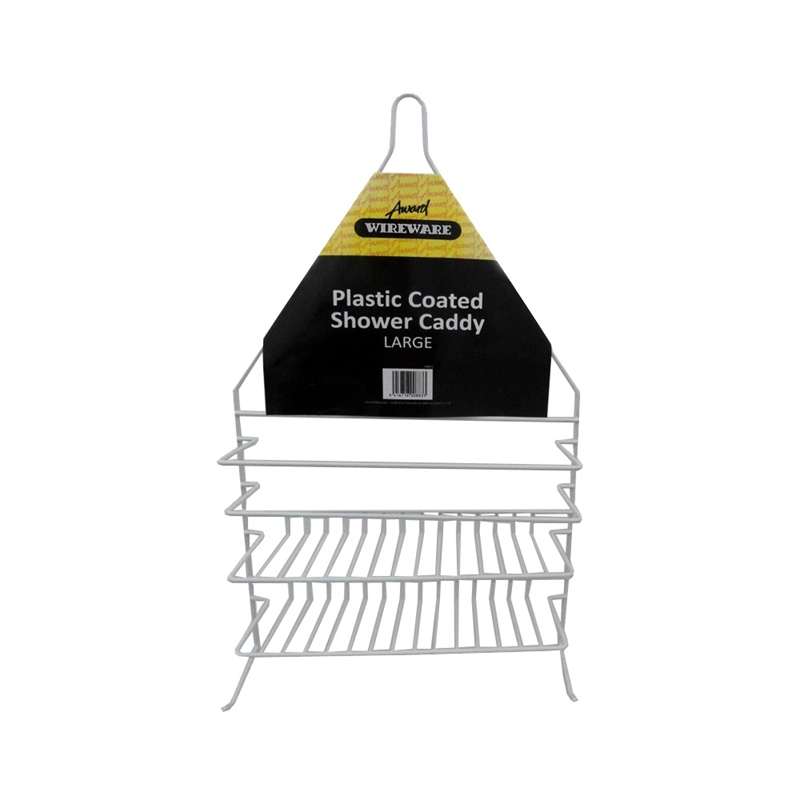 The Award Wireware White Large Shower Caddy features a plastic coated finish which is easy to clean. Fixed hanging hook suitable to hang from Shower Rod or Rose. Fixed hanging hook suitable to hang from Shower rod or rose.